Figs are in season in South Africa and I think it's bloody marvelous! 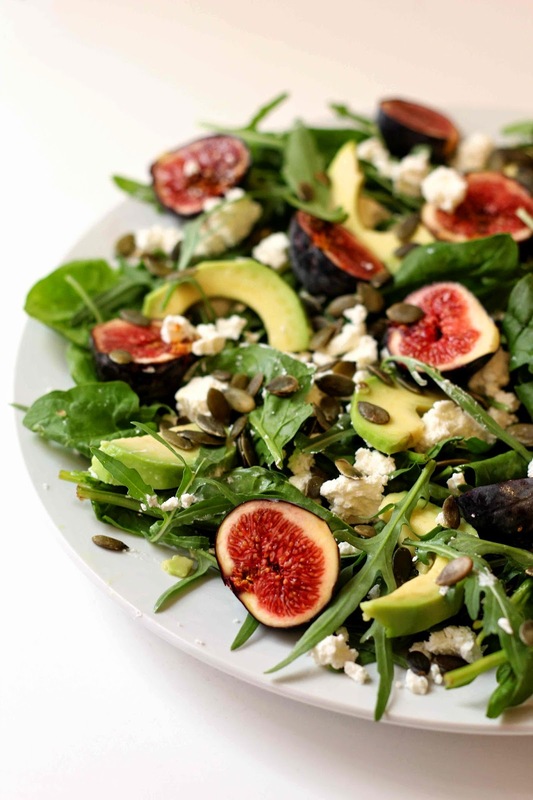 Instead of just having them with a cheese board, I'm opting to use them as the hero in a salad, pairing them with salty Danish feta which works like a dream (you could also use blue cheese or holloumi) The peppery rocket and spinach really cut through the sweetness of the figs which helps bring all the flavours together. Damn, their good. Whisk all the dressing ingredients in a bowl together until emulsified. 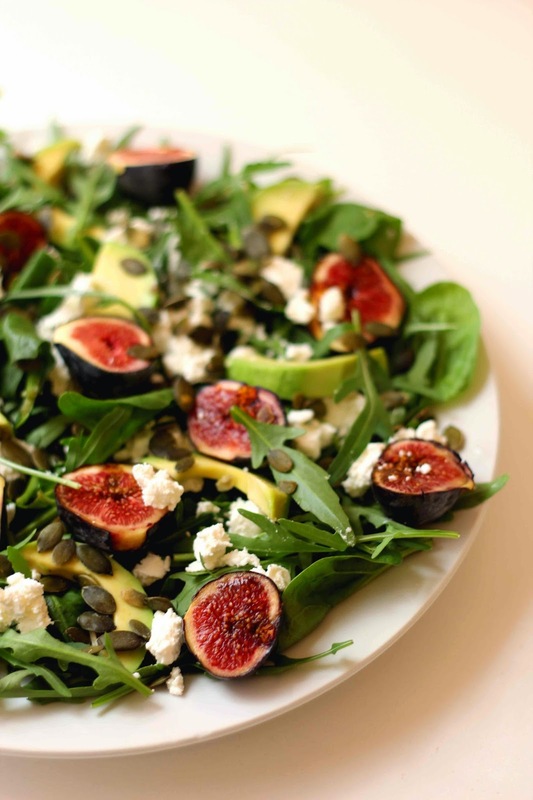 Lay the salad leaves out evenly over a large platter, sprinkle over feta, avo slices, fig halves and finish by scattering over seeds.